The middle lobe of the labellum of Anacamptis morio subsp. picta is shorter than the lateral lobes. 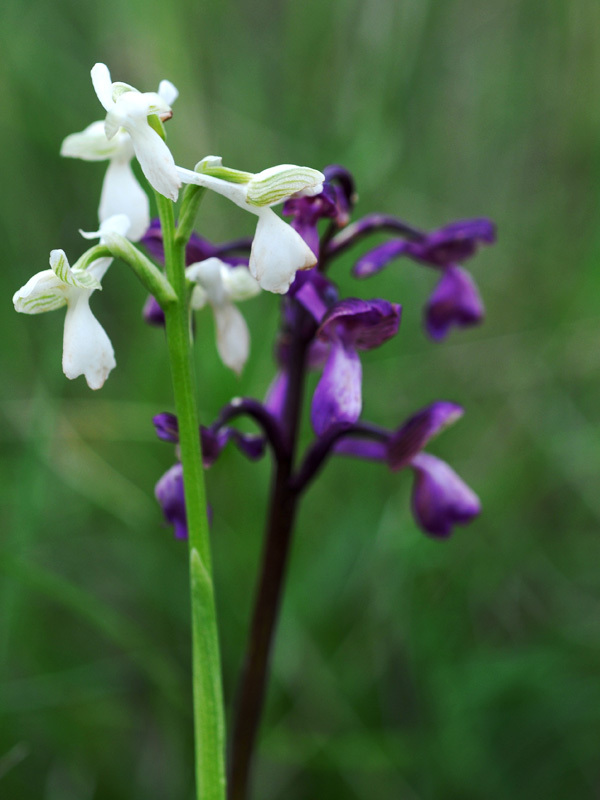 The plant is smaller than the main species Anacamptis morio subsp. morio and has fewer flowers. Jean Louis Auguste Loiseleur-Deslongchamps (1774–1849) described the plant as Orchis picta in 1827. Karl Richter (155-1891) realized the relationship with morio and described the plant as Orchis morio subsp. picta in 1890. Richard M. Bateman put the plant to the genus Anacamptis, as Anacamptis picta. Finally, Piere Jacquet and Gil Scappaticci defined the species as Anacamptis morio subsp. picta (Une repartition des Orchidées sauvages de France, 2003). 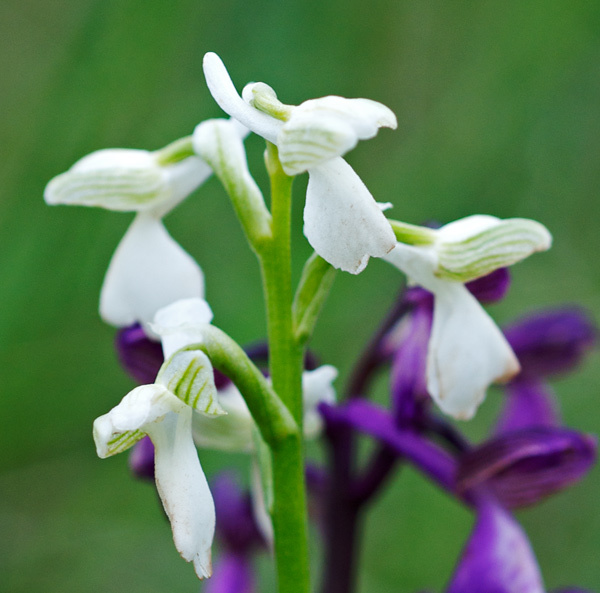 The frequency of white flowering plants is probably the same as with Anacamptis morio subsp. morio, though P. Delforge (Guide des orchidées d’Europe, 2003) notes that the variety of picta is more limited than that of morio. Anacamptis morio subsp. picta lives on dry grassland, meadows and pastures on calcareous soils, in Southern France and Spain. Bloom is from February to May.